In case you missed the update in the Weekly Reminders, SUBWAY LUNCHES are now available EVERY FRIDAY, commencing this Friday, 31st August. All your have to do is go to : schoollunchonline.com.au and in a couple of clicks, make your order! Please note that orders must be made before 10am every Wednesday morning. A parent from our school runs this local business and has generously agreed to deliver Friday lunches straight to our door. 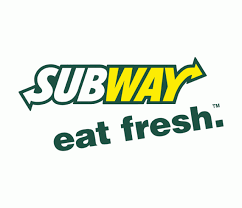 This healthy lunch deal is $5.00 for a 6 inch sub. It is important to understand that this service will only be able to continue if well supported by the school community.